Mentoring programs match engineering, computer science, and architecture students with practicing professionals in their field. They give students a chance to talk to someone outside of the university and to learn about a career as a practicing professional. 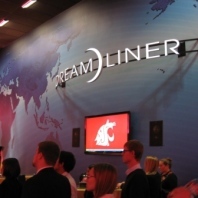 WSU engineering students are paired with a mentor from Boeing who can provide information about the aerospace industry, opportunities at Boeing, and general career guidance. Students are expected to act in a professional manner at all times, to attend all scheduled events, and to be proactive in communicating with mentors. Students will also be expected to organize Boeing guest speaker events and teleconferences on campus for the general student population. Since its inception, Boeing employees have mentored over 100 students in engineering, business, and communication majors. Students and mentors attend a Kickoff event in the Fall at one of the Boeing Design Centers (Tukwila or Everett). Students and mentors meet virtually at least twice per month to discuss relevant career topics. Mentors, who are nearly all WSU alums, visit with students on campus at least once during the program. Monthly professional development workshops are hosted by Boeing employees. Questions? Contact Sandi Brabb at brabb@wsu.edu, Dana 138 or 509.335.3740. Applications due August 29, 2019 by 4:00 PM. 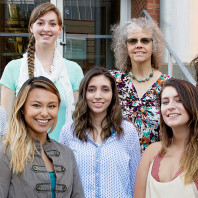 WSU freshmen engineering students are matched with a practicing woman engineer. The mentor and student to keep in touch throughout the college years. Mentors provide support and answer questions about the engineering field, help students see how what they’re doing in their classes relates to what they may want to do in their careers, and connects students with the engineering community. Regular email communication between mentors and students. During school breaks, students and mentors meet. Students may job shadow for a day, tour facilities, or simply meet with mentors for coffee. Campus events, such as luncheons. For more information, email mentor.program@wsu.edu.